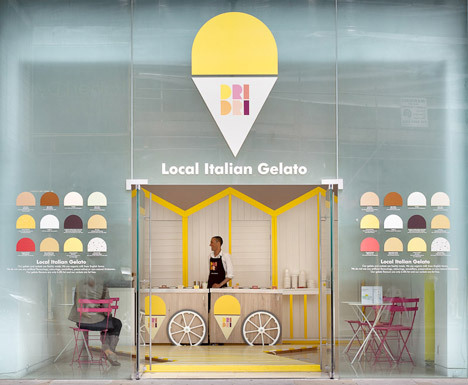 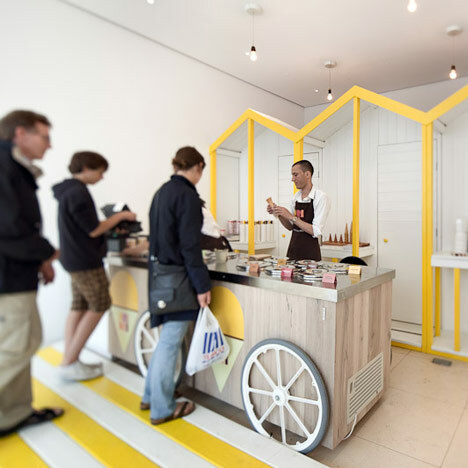 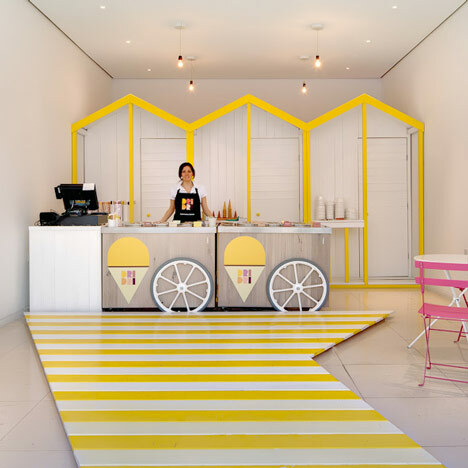 A pop-up Italian ice cream stall at St Martins Lane Hotel in London evokes the seaside with yellow beach huts and striped decking. 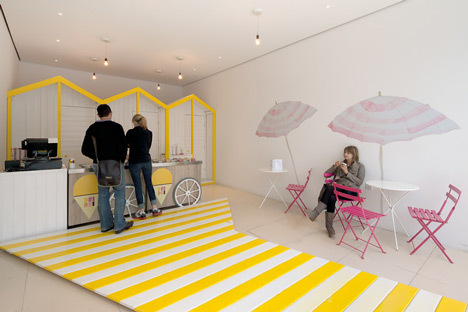 Designed by architects Elips Design, the temporary shop serves gelato by UK company Dri Dri from a timber cart on wheels.Pink chairs provide seating in front of two-dimensional parasols that are printed on the walls. 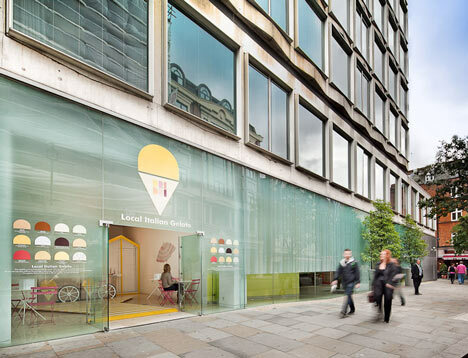 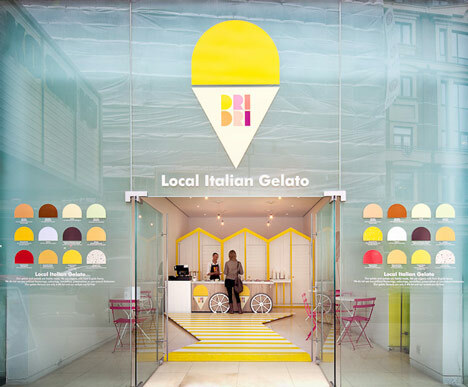 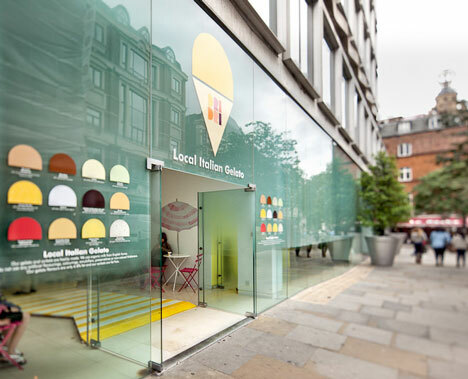 Coloured semi-circles decorate the glass facade of the shop, illustrating the different flavours of ice cream available.